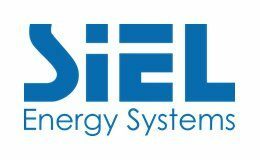 We offer a competitive range of technical solutions to meet business requirements SIEL Energy Systems has become established as one of the UK leading providers of POWER PROTECTION solutions over the course of its 25 year history. The Company has a strong track record and enviable reputation for the quality & reliability of its installed systems which ensure the continuity of electrical power to essential services and mission critical applications throughout a wide variety of different business sectors like yours, including; Financial Services, Manufacturing, Defence, Retail, Public Sector, Transportation, Health and Communication. All systems are backed by a full product support capability throughout the UK. UPS Maintenance and Service Prior to dispatch, all systems are subjected to a factory testing procedure (which may be witnessed) and a certified copy of the results together with certificates of conformity are shipped with the system. As with all electronic equipment regular preventative maintenance is recommended in order to ensure sustained and predictable operation. We offer a wide range of preventative maintenance plans which offer you the flexibility to decide which level of cover is appropriate for your business needs.